NBC revokes licences of 54 TV, radio stations – Royal Times of Nigeria. 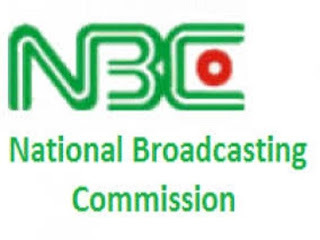 The National Broadcasting Commission, NBC has revoked the licence of 54 television and radio stations over non payment of their licensing fees. Director General of NBC, Is’haq Modibbo Kawu, disclosed this at a press briefing in Abuja yesterday. According to him, most Television and Radio station operators have failed to pay up their licensing fees over the years because they always run to Aso Rock to seek help to evade payment. He said that the commission will henceforth not tolerate such political interferance in carrying out its duties as that era is over. He said;“Over the past two weeks, I gave directive that the licences of 54 companies issued licences but had refused to pay their fees within the mandatory 60-day window be revoked. And those licenses are revoked. “There is another list of over 120 licences that were paid within the mandatory period but were unable to come on air, within the mandatory two years; they are also being processed for revocation. And they will be revoked. Frequencies cannot be held indefinitely by individuals”. Kawu also gave television and radio stations owing the commission about N5 billion as licence fees a deadline of March to pay up or be shut down.